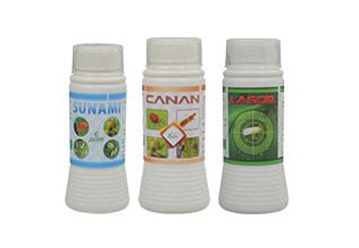 Jaivik is the distinguished name in the industry for Pesticide Intermediate manufacturers as well as retail consignments of the goods as per the jointly decided period. Due to the immense and well-maintained storage space, we proficiently keep the wide assortment of products in safe place to make sure the complete safety. Jaivik is the quality driven and ensures that the provided lot is prepared using the premium grade raw material and these materials are sourced from the qualified vendors. We are flourished with high-tech storage facility, laced with all the necessary amenities, requires for maintaining high-quality standards. There are different types of Pesticide Intermediate which are used for taking care of the crops in the farm. Propargyl bromide : Propargyl bromide is also known as 3-bromo-1-propyne is an organic compound with the chemical formula CHCCH₂Br. It is a halogenated organic compound consisting of propyne with a bromine substituent on the methyl group. These offered Propargyl bromide is used as a Soil Fumigant. Isophthalonitrile : Isophthalonitrile is an organic compound which is an off-white crystal solid at room temperature. It is a derivative of benzene, containing two adjacent nitrile groups. The compound is used as a precursor to phthalocyanine and other pigments, fluorescent brighteners, and photographic sensitizers. Native non-crop plants can provide habitat for pollinators and natural enemies and also protect the health of our waterways. Benzonitrile : Benzonitrile is the chemical compound with the formula C₆H₅CN, abbreviated PhCN. This aromatic organic compound is a colorless liquid with a sweet almond odour. It is mainly used as a precursor to the resin benzoguanamine.